It all started after Reggie and his wife Lilit posted a video on social media asking fans to donate to a GoFundMe account they set up, allegedly with Lauren London's permission. 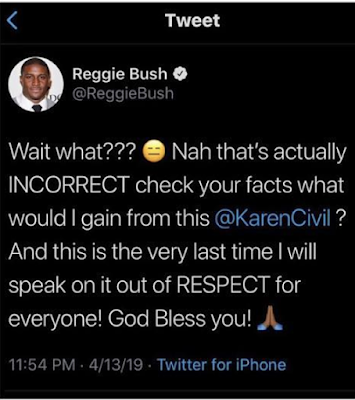 both of these two maybe should have handled this privately?? And also, why a "gofundme?" 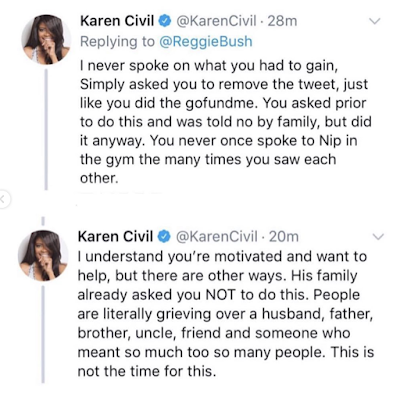 Mr. Bush doesn't have the money to just give out of his pocket?? That was kind of strange to me...why not just give on your own.. He didn't need any help anyway. Good grief. This is tacky as hell. 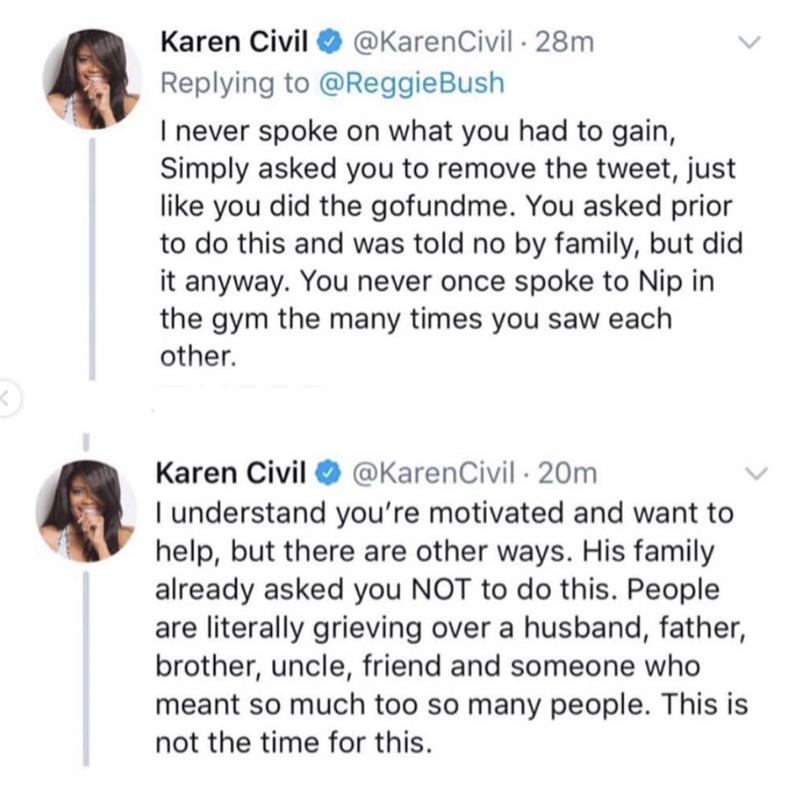 Go Fund Me accounts are for financially destitute people, not easy ways for MILLIONAIRES to take credit for money they are not giving themselves.It is cheap and tacky of Reggie. If Reggie wants to give he should give from his pockets not poor folks sympathies. Him and his wife crazy as Kanye and Kim. He just don't get it. Out of touch. Smh. 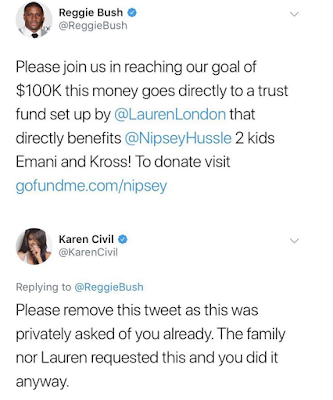 1) Between Lauren's own money, Lil' Wayne, Nipsey, Snoop, and pretty much all of L.A., Lauren and those kids don't have to worry about a damned thing the rest of their lives, a GoFundMe is simply unnecessary for this particular case. 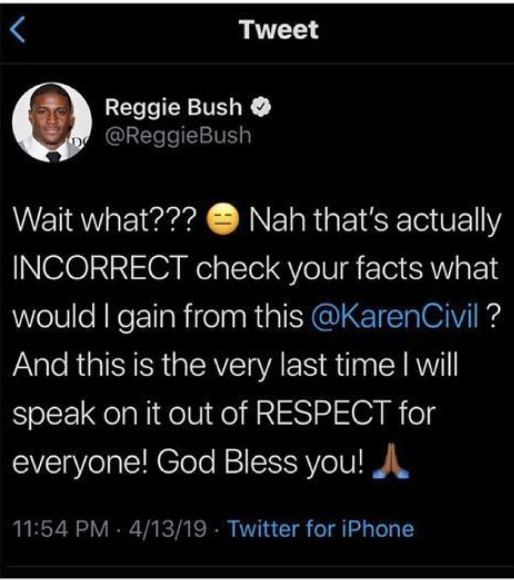 2) I'm baffled as to why Reggie won't just acknowledge that he was out of line and issue a simple apology. I hate it when I directly tell someone what I do or don't want or need, and they follow through with doing what they want. I'm an adult, if I tell you to stand down, I mean it. And if I fall on my face after telling you to stand down, that's on me. That NFL money running out plus child support is the problem. Ain't said nothing but the truth. If this confused kneegrow and his knock off kim 2.0 "wife" don't go sit their thirsty asses down somewhere. 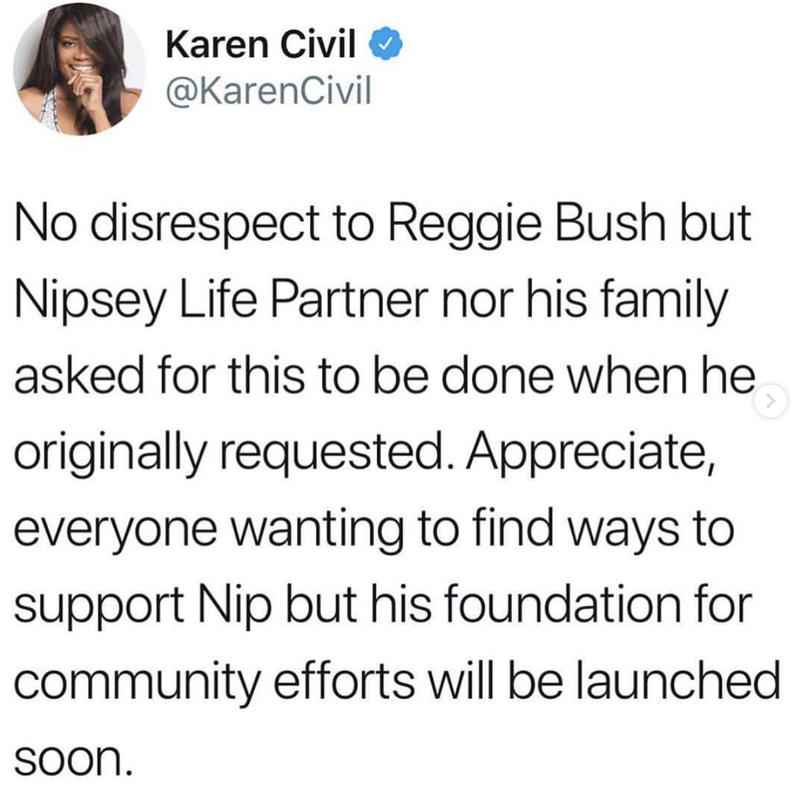 I get that folks were inspired by Nipsey Hussle's life to help others. 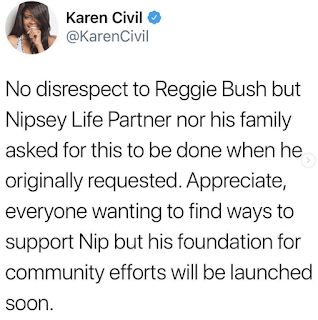 However, Lauren London and Nipsey's kids will be fine. Let's talk about Flint, Michigan. 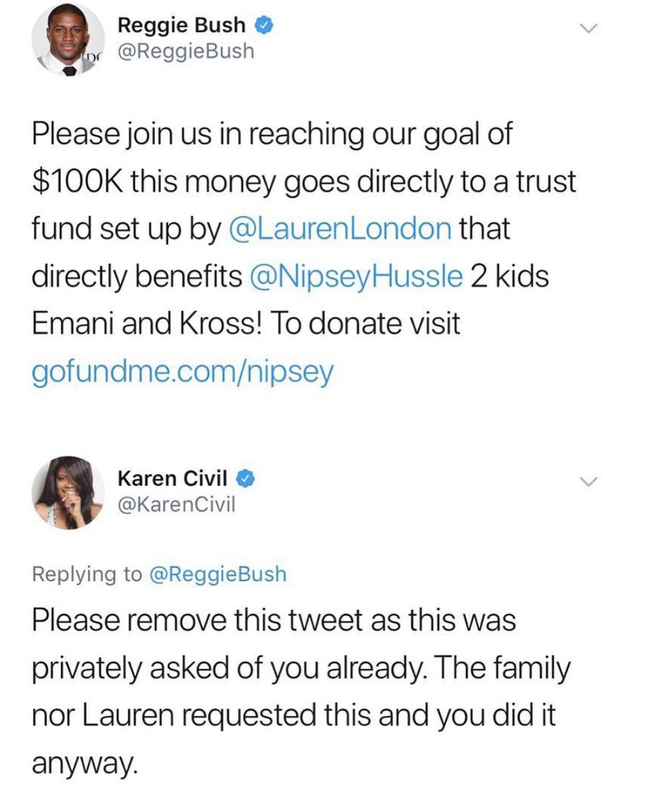 That $100K would definitely help those families. How about that? 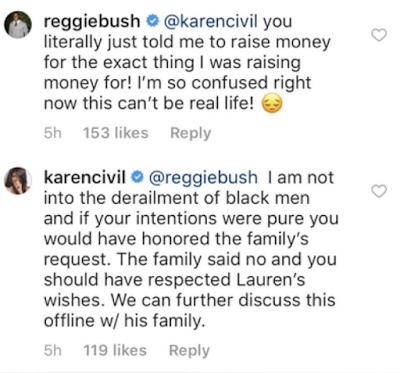 Damn why is Karen being so public about something like a miscommunication? 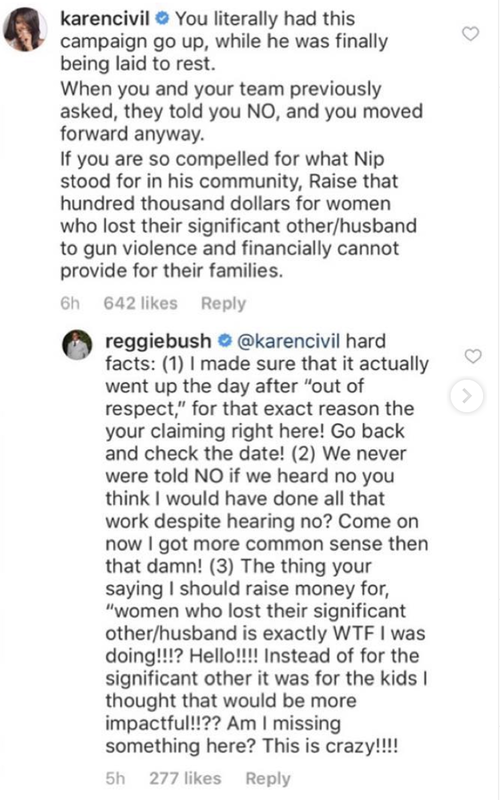 I don't think Reggie was trying to benefit I think he honestly put himself in Nip's shoes and was thinking about his own family and children. 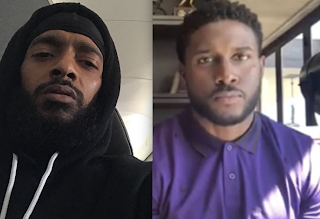 Okay so they never spoke but I've never spoke to NIP and his tragic death has affected me. 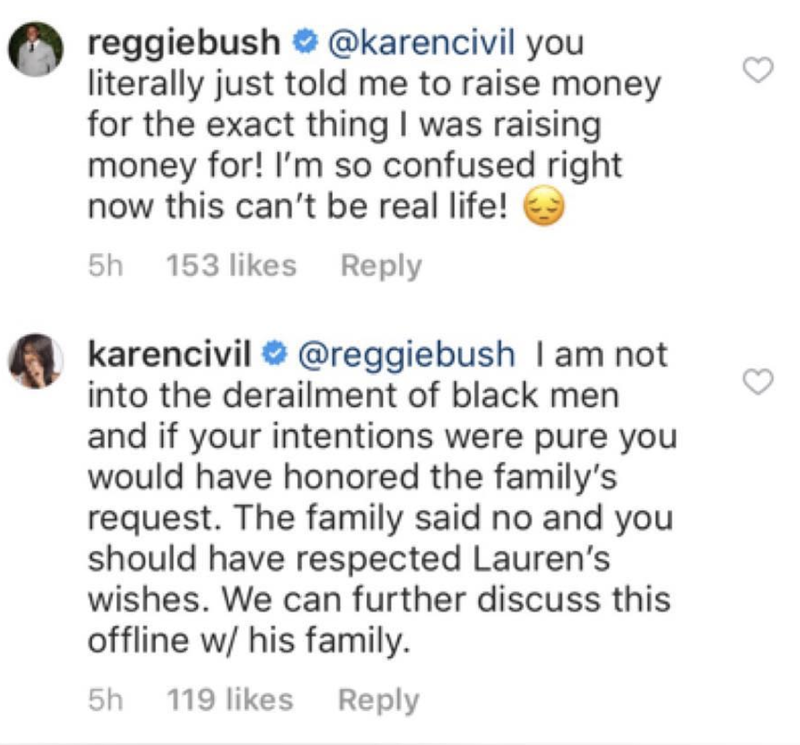 @2:18, The issue is that Reggie is choosing a poor folks method of asking for donations to avoid "personally giving himself." He could have secretly given to the family as opposed to using a site really intended for broke folks. @2:28pm we are presuming he hasn't donated. He's not asking POOR PEOPLE he's asking the public. Poor folks are not in a position to donate and if they were then allow their blessings to come back to them by doing good. @3:32, If he had given he would have said it to save face. 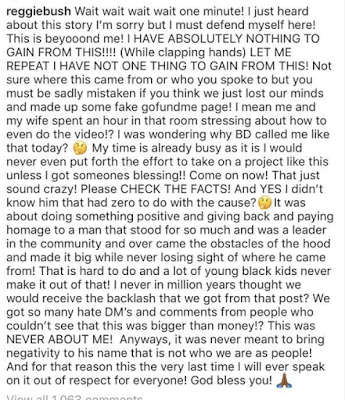 He didn't give jack.GoFundMe was created to help those without, not as a tool for rich people to gain clout off of working class dollars.. The MAJORITY of givers give 10 and 20 bucks because the MAJORITY are not rich but are working poor. The MAJORITY of Americans live check to check with less than $5,000 in a bank account. The working poor folks give more than anyone else on GoFundMe. Do the research. God doesn't exist. 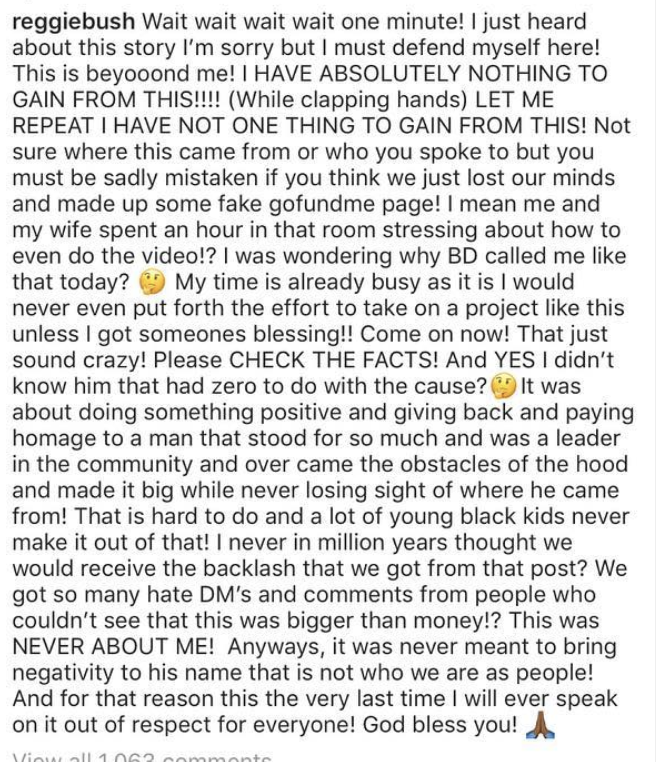 Everyone in this story is a prostitute.including the kids and including Karen civil.